We're always on the look out for opportunities to expand our community connections at both a local and global level. And what better way to broaden our childrens’ horizons than by helping out new friends in other parts of the world. Porridge and paint are what tamariki at Kidsfirst Greymouth are fundraising for, to help the children of Ngara Nursery in Malawi, Africa. 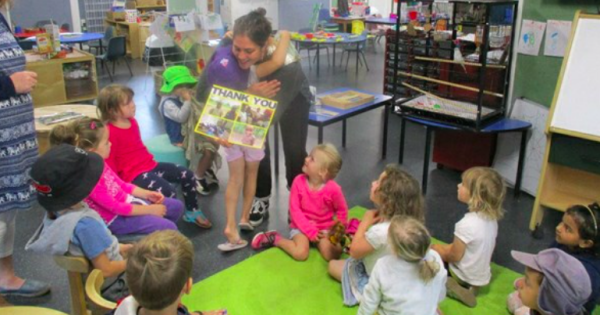 “Their building was in desperate need of a renovation and children lacked a nutritious breakfast before learning,” says Devon Kilkelly, a former Kidsfirst Greymouth kindy kid, now in her early twenties and studying nursing at Otago. Devon recently won a TVNZ Good Sort Award for her continued volunteer work to help the young children in Ngara village. A six-month stint there as an 18 year-old opened her eyes and inspired her to make a difference. Devon’s appeal was for porridge and paint. “I was able to make an impact within the Ngara community in many different ways but the most significant to me was through the nursery school,” says Devon. Devon Kilkelly shows tamariki a thank you card with photos of the children in Malawi, Africa. Head Teacher, Tracy Jennings collects handmade music-making shakers to send the children. A special moment for Tracy Jennings, Head Teacher at Kidsfirst Greymouth was contacting Devon to let her know their whole kindergarten community were backing her good cause. 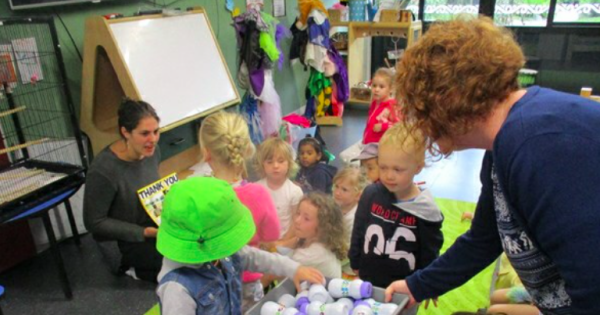 On a special visit to the kindergarten Devon was overwhelmed by the generosity of tamariki and whānau with a $100 donation (from selling glow sticks at their disco) and a set of handmade music-making shakers to pop in her suitcase on her next trip over for the children of Ngara Nursery. As well as donated learning resources such as books, puzzles and toys. “Helping Devon to fundraise on behalf of these children in Malawi has turned into a fantastic learning opportunity for tamariki,” says Tracy. 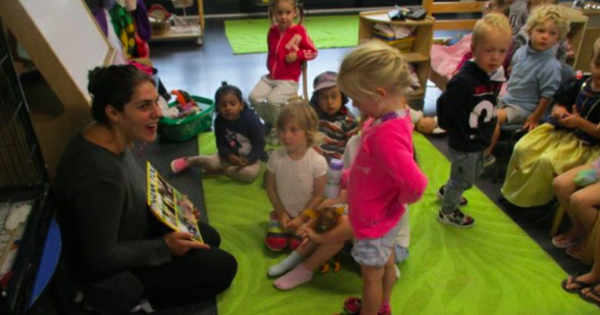 “Amazing, kind, thoughtful and giving,” is how Devon describes the tamariki from Kidsfirst Greymouth, who will continue to help fundraise and are excited about building a lovely relationship with the children of the Ngara Nursery as pen-pals. We are so very fortunate to have so many inspiring people within our communities who amaze us with their generosity, focus, creativity, energy and commitment.